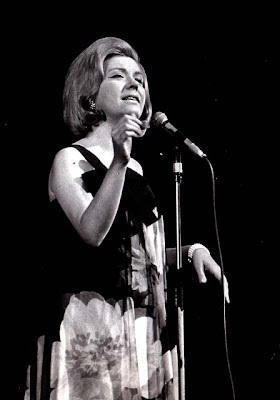 Helen Merrill was born as Jelena Ana Milcetic in New York City on July 21st, 1930. She is an internationally known jazz artist and has had success in Japan, Italy (where she lived for many years), and the United States. In a career that has spanned 6 decades, she has recorded and performed with some of the most notable figures in the American jazz scene. Helen has been married three times, first to musician Aaron Sachs, second time to UPI vice president Donald J Brydon, and third to arranger-conductor Torrie Zito. She has one child, a son, Allan P. Sachs, also a singer, who is professionally known as Alan Merrill. She began singing in jazz clubs in the Bronx at the age of fourteen when she was with the Reggie Childs Orchestra during 1946-1947. By the time she was sixteen, Merrill had taken up music full time. In 1952, Merrill made her recording debut when she was asked to sing A Cigarette For Company with the Earl "Fatha" Hines Band. At this time she was married to musician Aaron Sachs. They divorced in 1956. As a result of the exposure she received from this song and two subsequent singles recorded for the Roost record label, Merrill was signed by Mercury Records for their new Emarcy label. In 1954, Merrill recorded her first (and to date most acclaimed) LP, an eponymous record featuring legendary jazz trumpet player Clifford Brown and bassist/cellist Oscar Pettiford, among others. The album was produced and arranged by Quincy Jones, who was then just twenty-one years old. The success of Helen Merrill prompted Mercury to sign her for an additional four-album contract. Merrill's follow-up was the 1956 LP, Dream of You, which was produced and arranged by bebop arranger and pianist Gil Evans. Other albums by her include Helen Merrill With Strings (1955), Merrill At Midnight (1957), The Nearness Of You (1958), You've Got A Date With The Blues (1959), and American Country Songs (1959). After recording sporadically through the late 1950's and 1960's, Merrill spent much of her time touring Europe, where she enjoyed more commercial success than she had in the United States. She settled for a time in Italy, recording an album there and doing live concerts with jazz notables Chet Baker, Romano Mussolini, and Stan Getz. Merrill returned to the U.S. in the 1960's, but moved to Japan in 1967 after touring there. Merrill developed a following in Japan that remains strong to this day. Another aspect of her career is that the consistently challenges herself stylistically and records in different musical genres. She has recorded a bossa nova album, a Christmas album, and an album's worth of Rodgers and Hammerstein, among many others. In 1970, she even released Helen Merrill Sings The Beatles. I'll have to check that one out myself! In all, Helen Merrill has recorded more than 40 albums. She returned to New York in 1972 where she now lives, making annual concert tours in Japan and Europe. She will be appearing at various Billboard Clubs of Japan - Tokyo, Nagoya and Fukuoka, in 2009, so if you happen to be overseas next February, you might want to look her up. Today's number is that finger-snapping type of jazz stylings that just goes down well. As far as I can ascertain, it was only a single release and never appeared on an album when it was originally recorded. I suppose since she was near the end of her contract time with Mercury, they didn't include it on an album for one reason or another. But that's a shame, because it's a catchy little number and displays her vocal talents front and center. She is backed by Hal Mooney and His Orchestra and the track really swings. So, don't deprive yourself of this aural experience and get Helen Merrill as she exhorts you to Listen. You'll be glad you did!